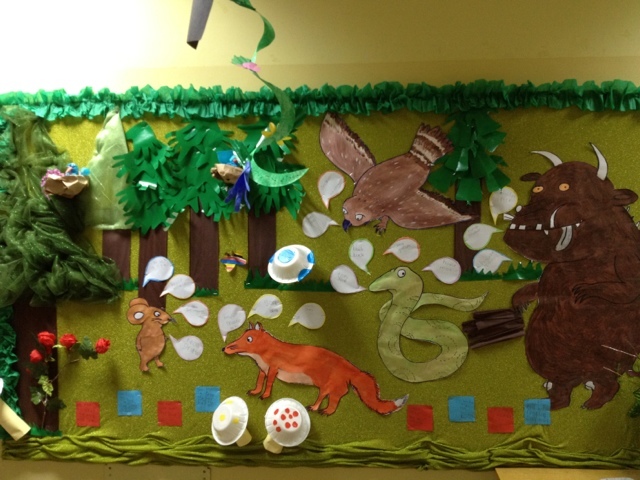 These days we are into the Woodland Animals theme. 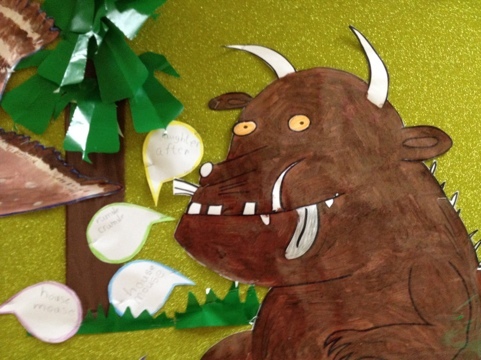 We put up this Gruffalo bulletin board after we read the story. 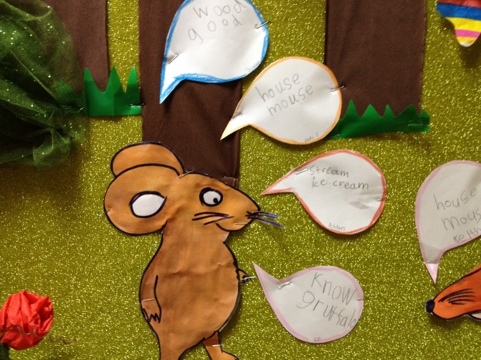 My kindergarten students found out rhyming words in the story and wrote on speech bubbles. 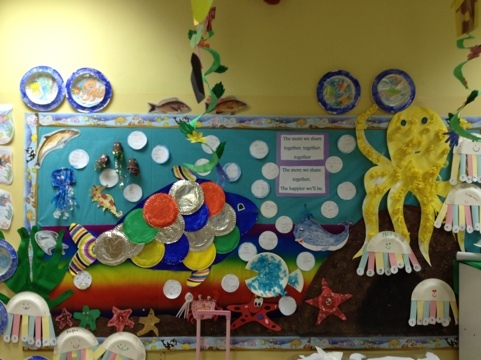 This is our Rainbow Fish bulletin board. 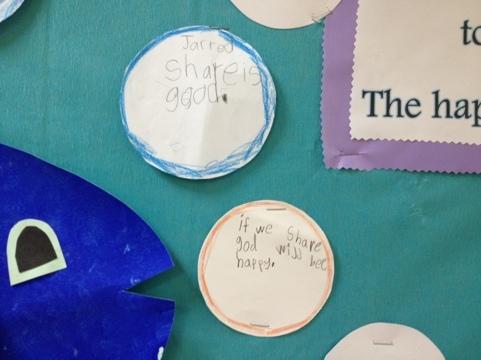 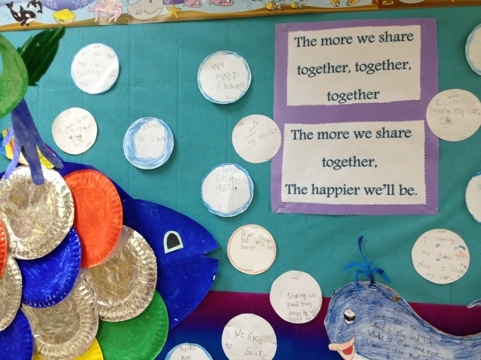 The children wrote about sharing on small bubbles to go on the board. 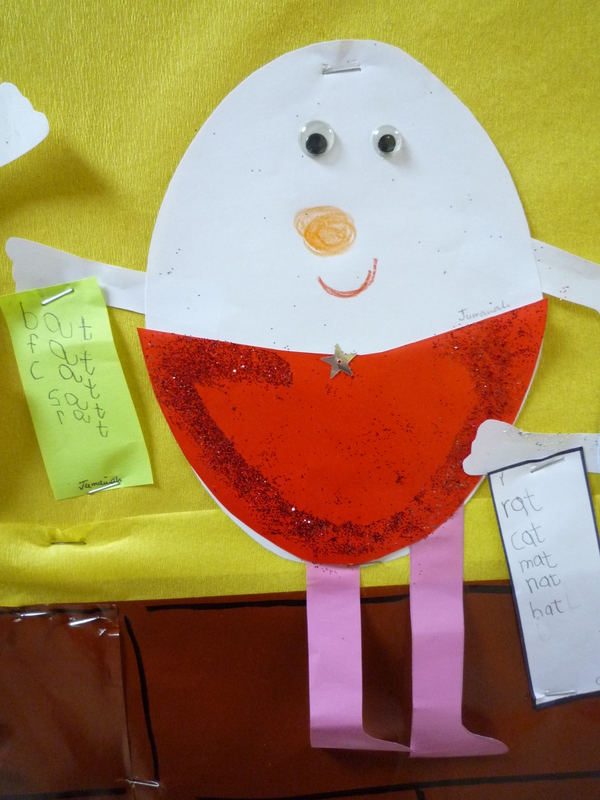 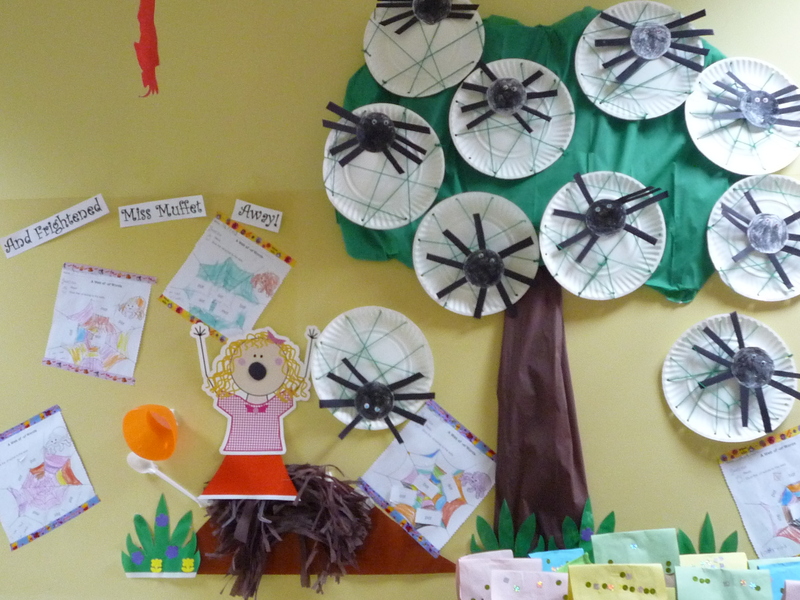 During our Fairy Tales theme we made this Little Miss Muffet wall display. 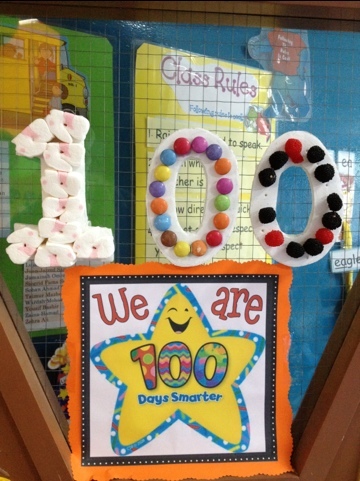 My kindergarten students indulged in some writing for this door display I did for 100 days of school. 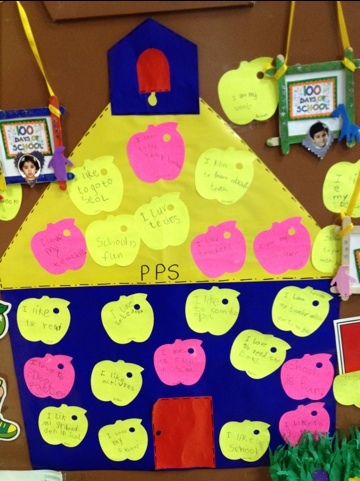 On Post it notes they wrote about all the things they like about school. 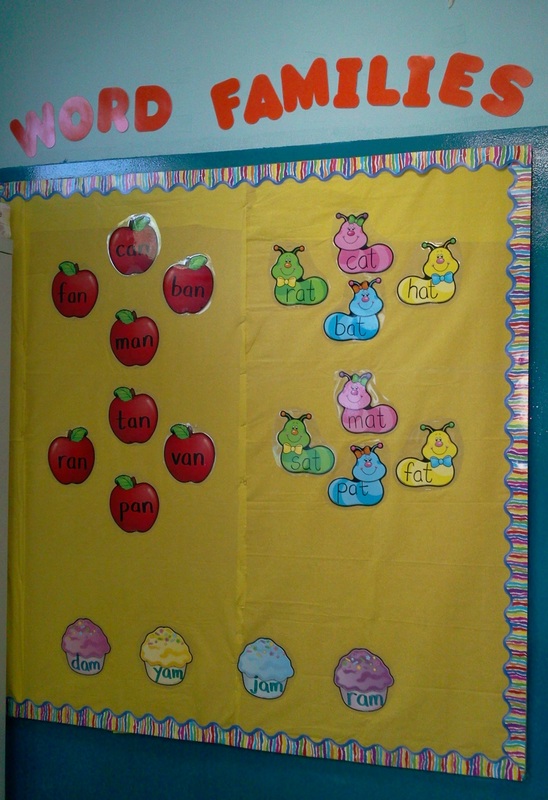 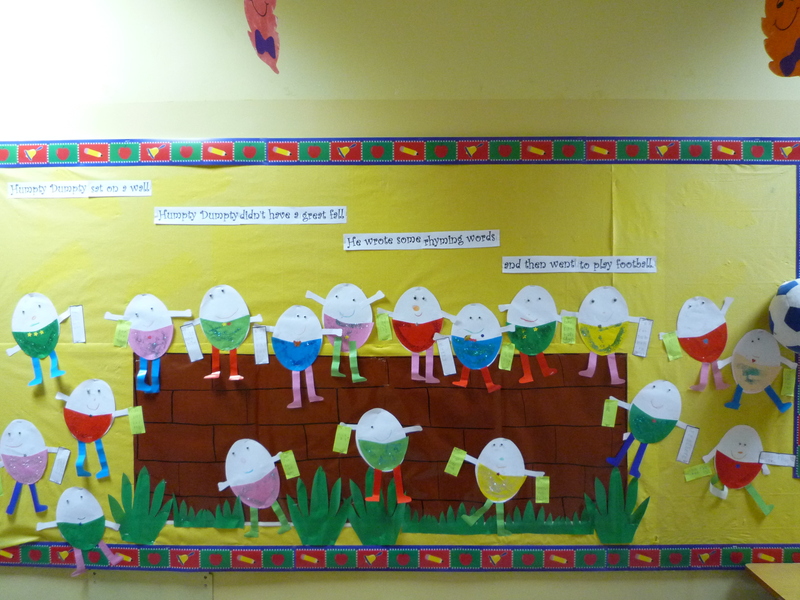 Here I have used accents from Carson Dellosa to create this bulletin board. 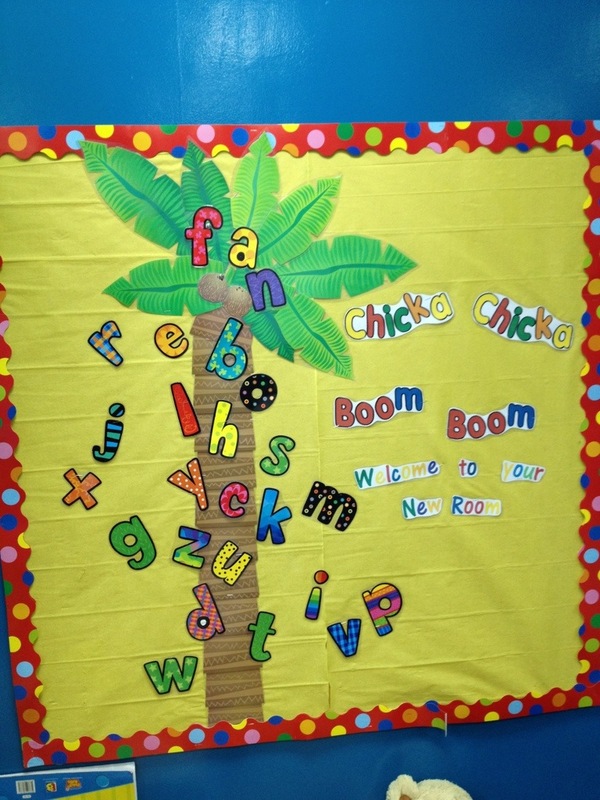 Students can use it to read the family words using a pointer. 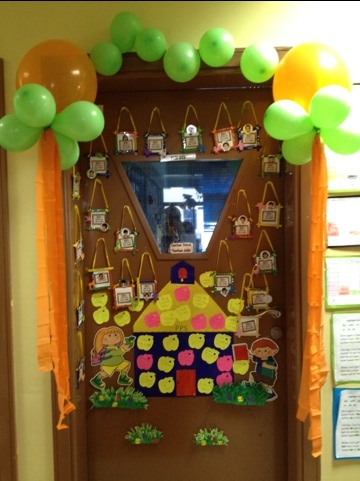 This area can also be used for the ‘Write the Room’ literacy center.